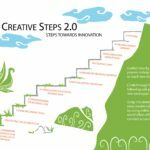 The core of Creative Steps 2.0 innovation workshop methodology is its step-by-step guidance through 10 phases of the innovation process. The video explains the process of all ten steps. 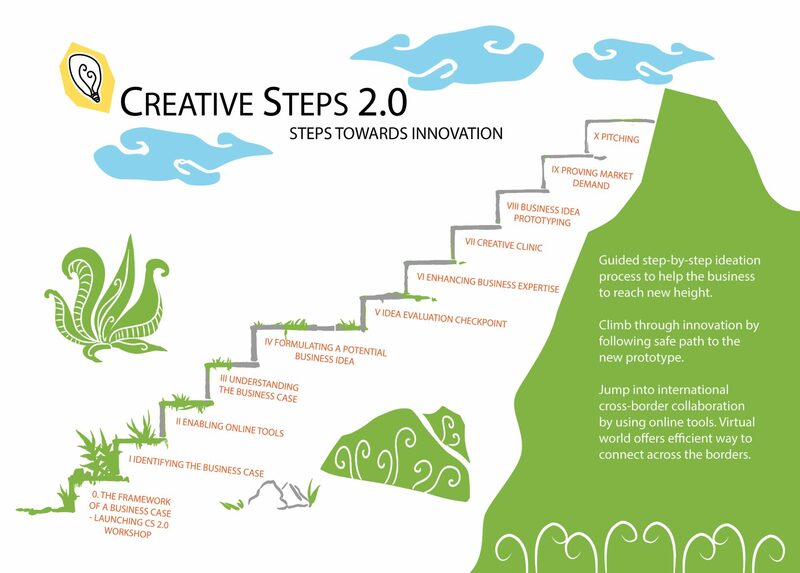 The advantage of CS 2.0 workshop is a set of simple 10 (ten)+ 1(one) guided steps, where you progress from one step to another until you reach the top of the mountain – actual result in the form of validated business idea and prototype. As a small company or individual entrepreneur you are not alone in this journey. The workshop is designed to make joint teamwork efficient where the companies and student teams work under the supervision of professional coaches in the mode of face-to-face and online meetings and activities.